Do you need classroom training or onsite assistance in the use of MYOB or Quicken software? Do you need Point of Sale retail solution? Do you understand your Accountant and his financial reports ? Do you want to know the effect on your business of financial decisions before you implement them? 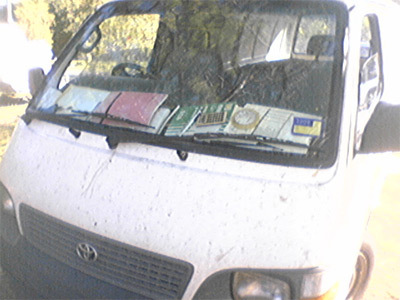 If your van looks like this….. than you may benefit from MYOB or QuickBooks! Business Learning Centre – for training you can rely on! My Training & Services come with a 100% Money Back Satisfaction Guarantee!